James Wood + Slavoj Zizek. There’s no ring to it. One man, a marvelous literary critic. The other, a rousing bull in philosopher’s clothing. The first concerns himself with the novel, a literary form that feels quaint now, and maybe abused. The second most known for cinophilosophicolacanianmarxism, almost rising and “rebellious.” And yet they converge like two parallel lines in a distant galaxy. That distant galaxy is right here. In a word, it’s storytelling. Or, rather, Wood and Zizek share a critique of storytelling. But what is storytelling? Perhaps at core, storytelling is entertainment, when the "arc of the story" takes precedent over other matters. It twinkles in the night sky. At its most enrapturing and beguiling, storytelling cloaks us in the thick blanket of safety on a cold night while the scoutmaster conjures monsters from the deep, dark forest. We're nine-years-old, smiling beneath our blankets, pleasantly befogged by the odd reassurance of unfounded anxiety. Abu Bakr al-Baghdadi making a point. There’s something unsettling going on… Is it happiness in fear and the fear in happiness? Does safety beget guilt that in turn reinforces fear? When reflecting on ISIS and the beheadings, the journalist David Carr said, “We don’t want to look, but some of us do and the rest of us talk about it. ISIS seems to understand that the same forces that carried the Ice Bucket Challenge’s message of uplift — the desire to be part of something, to be in the know — can be used to spread fear and terror as well." The forces he's talking about are media technologies, but it's not that. Although technologies do influence the message, the tool isn't the source of the rub. The rub itself is the source. James Wood wrote a terrific review of David Mitchell’s latest book, The Bone Clocks, in The New Yorker a few weeks back. Wood lays out a beautiful plan early. Vexed by an insisting genre that is “all pleasure, fantastical in its fertility, its ceaseless inventiveness,” Wood nearly squares Mitchell into a box, but generously refrains, and for our benefit. Mitchell's gaming smile perturbs him, so he quotes Mitchell directly: “People’s time, if you bought if off them, is expensive. I want to give them something back, and I want it to be an enjoyable experience.” Mitchell clearly regards transaction in human expression quite highly. His work is not an offering to humanity, but an offering to you, dear reader. Transactions suggest fairness and agreement, typically between individuals, but it could be entities. I understand why Mitchell and others are attracted to this. But I sit with Wood, who rocks uneasily in his parlor chair as the terms of the contract are laid plain. You may recall that Jonathan Franzen found himself uncomfortable in this quandary when he went up against Oprah in 2001 and then attempted to sucker punch the late William Gaddis in the grave a year later with a piece titled Mr. Difficult. His point? To be short, at first there was highbrow and lowbrow literature then, in an about-face, an individual reader's satisfaction, and the market by extension, is all. (Side note: Franzen locates his high regard for transactional art in his "Protestant nature," as he put it, by which he means that he should be rewarded for his work as a reader. He demands to be entertained first, the other stuff is of lesser importance.) For the Franzen of that debate, there are Contract Novels and Status Novels. Contract novels are a wink to the reader that says, You know this road and, in Franzen's type, everything will be mostly O.K. This is going to be a fun ride, even if you’re scared at times. It's a nine-year-old's world, one of my favorite things. Status novels, in contrast, are a sign of difficulty, trouble and snobbery. They are the adults in the room talking down to the children. I take issue with this kind of neat opposition, but I see where he’s coming from. I also love much of Gaddis' work and found that Franzen essay aggressively ideological and defensive. Plus, writers should be the keepers of the word. Who else will do it? Popular or not, finding the right word with precision, even when esoteric, is the writer's game. George Orwell with a gun. To me, status is absolutely the wrong word here and a jog back to George Orwell’s desk over by the window might help. There we find a dusty copy of “Politics and the English Language,” in which Orwell makes a case for the precision and exultation of language, versus giving it a slovenly pass. In this light Franzen’s contract begins to resemble the intentional debasement of language in the face of difficulty, or at least a resistance to just plain brain-work on the complexity of a thing. Franzen is too good a writer for that, so it feels forced when he makes these claims. It's also a false dichotomy that mildly fogs the lens. Happy readers in our age is scarcely different from happy wallets. So it isn't so much that there are two camps of opposing literary technique, a setup that presents an equivalency that doesn't exist. The aim is to satisfy the reader in order to sell books. Fair enough. But there's also a world out there making art for posterity, or at least attempting to. I see Gaddis in that light. The latest iteration of documentary films that "make a difference" with storytelling relates to Franzen’s Contract. Sometimes called “transformational filmmaking” or “conscious filmmaking,” this genre emphasizes storytelling and is meant to overcome all the negative and depressing experiences in documentary film. It presents a new day with a more optimistic sensibility. It's normal to desire this. We don't want to hear about anymore tragic stories of abuse without knowing that the victims were saved or, better, saved themselves. But why do we desire it so strongly now? The documentary contract is not entertainment directly, although they are very much related. Instead, the audience expects to be inspired and motivated, which brings forward the thrill of righteousness, and I don't mean that pejoratively. I've been there many times myself, crying and cheering with the audience as the broken man begins to walk again, having overcome impossible odds. It is a thrill to be part of something. 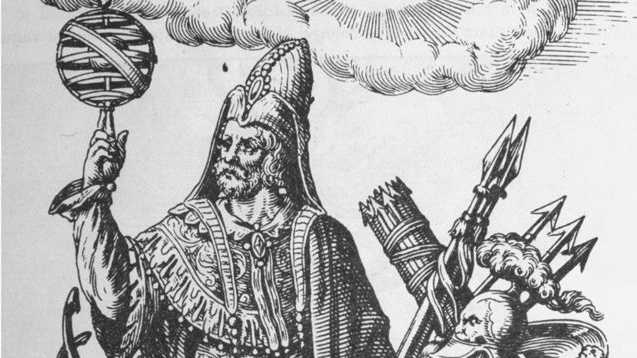 Hermes Trismegistus, also making a point, I think. Wood + Zizek. That has a better ring to it, but Wood falters slightly à la Franzen with an over-strong dichotomy when he pitches Ford Maddox Ford’s “serious investigation into the human case” against entertainment. I cringe a little at that dusty notion and look at Tarantino, hoping for a sneer. And yet Wood nevertheless gets to the bottom of all-things-story. He does it beautifully and profoundly, elegantly and swiftly winding us through Mitchell’s “enjoyable experience,” as he put it, while providing a passing but also astute history of literary expression, from the epic to hermeticism to hysterical realism. My own work in both documentary and narrative film attempts to resurrect the magical awe of a Trismegistic effect (“Thrice Great!”), which I do literally in my film, A Man Full of Days, with the main character recreating an alchemical recipe called Mercury of the Moon to ward off gently insistent angels. Although I read, saw and did not like Mitchell's Cloud Atlas, I am often attracted to the fantastical dream worlds, especially when I feel the need for a small amount of created threat that I can control. It reassures, doesn't it? Meanwhile, perhaps during the same few weeks this summer that Wood penned his ideas on Mitchell, Zizek wrote a snort to ISIS in the New York Times that had the feeling of a careless public maneuver. (Zizek really was not at his best on this one.) ISIS, we now know, is the grumbling bully in the Middle East that has risen recently to call itself The Islamic State. Zizek scoffs at the phony and feeble fanaticism of this army and suggests that, deep down, ISIS soldiers simply feel inferior to Western people and they are angry about it. Zizek’s review, as I will call it here, makes some interesting points, especially regarding the ingestion of Western culture worldwide, although resorting to Yeats’ Second Coming was a poor and too easy choice. Throughout Zizek skirts an annoyance that he shares with Wood without saying it outright. It turns out Zizek and Wood are grumpy about the same problem, grinding their teeth like Holden Caulfield pointing the finger at phony. Recall and invoke here Nietzsche’s Last Man*, as Zizek does: a resigning and pleasured weakling with all the comforts in the world who blinks at the thought of death arriving. "Have I missed something?" he seems to ask. Zizek cites Nietzsche directly, but Wood also favors a humanism that desires a critique of the Last Man, what is sometimes called anti-humanism. One starts to get the sense that the Wood-Zizek convergence is the Ubermensch. That sense, unfortunately, is misguided. Recall that for all of his talent and favor, Mitchell, like Franzen before him, has declared that pleasing the reader is his most important job. The novel must, above all else, be enjoyable. As such, it fits perfectly onto the Last Man’s library. Did it always? No. But the novel does have a lengthy parlor-mannered pedigree. The Wood-Zizek concern in the form of a novel, saccharine at its worst, might excite the Ubermensch, but it does not require it. It’s clearly too much to make an equation here with ISIS. It would be crude and unfair. But imagine for a moment this scenario: Abu Bakr al-Baghdadi, the ISIS leader, writes a novel. Taking a page from the awful and violent ISIS film, The Clanging of the Swords IV, which I watched and was entirely disgusted by, both for moral and aesthetic reasons, although the opening is sort of intriguing as an ISIS drone surveys Falludja. Al-Baghdadi knows that his audience wants the real deal, no frosting. His yet-to-be written novel might open with a hard-hitting revolutionary speech. Fair enough, perhaps he's attempting a Nietszchean declaration, although ideological speeches can be a turn off, but let’s read on. The crusading speaker says he will take over the Arabian peninsula, Israel, Italy and Spain. Big claims, and a kind of contract of sorts, or at least an attempt to set expectations, but the novel’s initial and ambitious coherence begins to fail in the next chapter, however, as a group of machine-gunning thugs drive through the countryside killing just about everyone. They kill many, many people. This could be a moment for Ford Maddox Ford’s human case or even Mitchell’s entertainment, potentially, and it's certainly a real echo of the fantastical Game of Thrones. The thing is, the gruesome details of these killings are happening now, today, as you're reading these words. In a recorded form the facts seem to become more-than-real. They are described in grisly detail as a bone pops out here and guts fly out there. And, in fact, they are real accounts, journalistically recorded. Then the exact same chapter is repeated word for word. Then it’s repeated again, this time with each page containing a single sentence in gruesome repetition. The. Bullets. Blasted. His. Face. Off. This trope is repeated for the rest of the book, which is 1000 pages long or maybe thousands of pages long. We'll never know. Speeches and violence. Speeches and violence. Repeated phrases in case you missed something, and so on. You might argue that this isn't a novel, and you might think is sounds like a different (famous) book entirely, but that's somewhat beside the point because using the novel as the mode of expression should not unsettle us at all. It's the violence. Today we are used to the unceasing magic of our technological accomplishments. We are amazed, rightly, by our creations and are insulted when this "force" is overtly used for nefarious purposes. All right. I’ve gone too far. David Mitchell is not at all like Abu Bakr al-Bahgdadi. Far from it. I’d share a beer with Mitchell and never want to meet al-Bahgdadi ever in life… or death. You can see how bad al-Bahgdadi's novel would likely be. And yet there’s something to be teased out here. Various circles intertwine. Perhaps we have entered an illiberal world finally, where the imperfect and hubristic universality of human rights has fully waned, where the cheerful ruthlessly dominate the violent, each reinforcing the other. One almost has the impression that the recent artisanal movement, with everything touched by human hands, from scratch and bespoke, is a last vestige of 19th century enlightenment humanism, a hope for humanity that also includes uncomfortable strands of emergent racism present at times in trucker caps and old timey nostalgia. We hope for the human connection, which is one reason we turn to art and an additional reason why transactional art can feel condescending, cheapened and saccharine, even when, like with Mitchell and Franzen, the storytelling is superb. It says, to be concise, you're not smart enough or strong enough for what I really want to say, so here's the softer version, little puppy. A nice sweet biscuit. George W. Bush smiling, perhaps on a golf course. Are we all smiles and frowns these days? No stoic middle ground? No patient moralist playing the long game during which the moral universe bends towards justice? It’s a cliché on the Left to point out that President George W. Bush was a crusader, but it does seem common to have two opposing fanaticisms reinforcing each other while the rest of us try to live in this mad, mad world. On the grand stage, there is no appreciable middle ground. In the aftermath of 911, Bush famously suggested we go shopping, which points to happy bloodlust on one side compared with the unhappy bloodlust of the other. We with the smiles above new sneakers. Them with the frowns under balaclavas. Zizek makes a solid observation about this fluid collusion: “The problem with terrorist fundamentalists is not that we consider them inferior to us, but, rather, that they themselves secretly consider themselves inferior. This is why our condescending, politically correct assurances that we feel no superiority toward them only makes them more furious and feeds their resentment.” The tight, tolerant smile. And it could be true, or it seems true in a certain light. The only trouble is that the U.S. does not respond solely with political correctness. On the contrary, the U.S. has been almost fanatically reactionary under a general cultural attitude of positivity with white teeth. I don't completely support my over-broad statement, but it's undeniable that the U.S. has transgressed badly. One need only mention a single word, "enhanced," and the picture is made clear. And if the response is politically correct at all, it feels like a cover of fantasy that plays out in the media. Let's all get along. As circles intertwine, one man’s entertainment becomes, to a degree, another man’s insult. Does another man's insult become entertainment? I'm afraid this may be true. And perhaps ISIS knows this rather sick idea. Fantasy can cover an uneasy reality, if you please, and an all-too-real reality can cover the fantasy of an aspirational agenda. The former is perhaps the status quo of the Last Man, while the latter may be a futuristic Ubermensch. For many, and perhaps for Wood here, in particular, it would be good if there was something closer to the impossible human case. *Footnote: Nietzsche’s line about the comforts of the Last Men, the opposite of the aspirational and unattainable, Ubermensch, comes from Section 5 of the prologue to Thus Spake Zarathustra.